The spiciness of the chorizo and the creaminess of the buffalo mozzarella perfectly complement each other on this pizza. Heat oil and cook the chorizo, set aside for use. 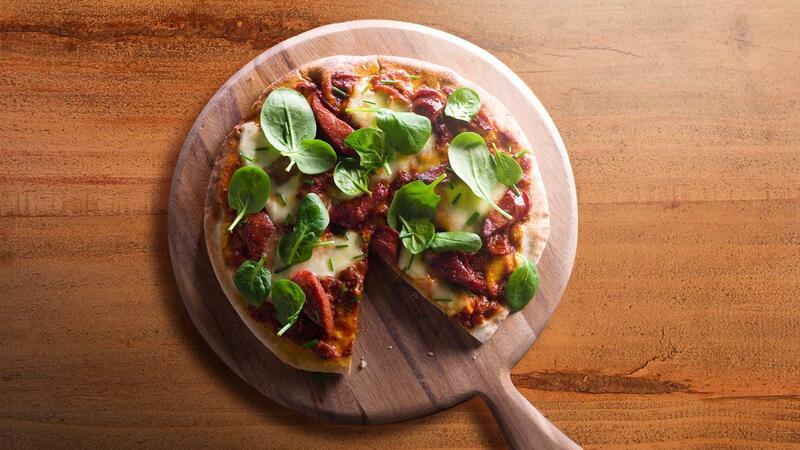 Spread the KNORR Pronto Napoli Sauce evenly on the pizza base, top with grilled chorizo then mozzarella. Place in the pizza oven until cooked, remove and add the baby spinach and chopped chives, to serve.